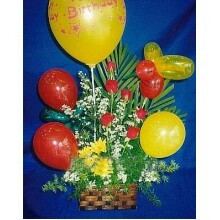 Assorted daisies with 6 pcs latex balloons. (Basket design and arrangement may vary) Note:Metro Manila only Your purchase includes a complimentary personalized gift message. 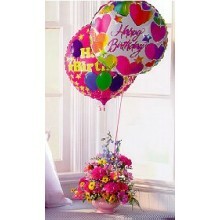 Available with diferrent message: Love you,Get well, Birthday etc. 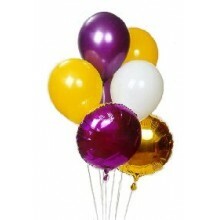 Mix of latex and mylar balloons Note:Metro Manila only Your purchase includes a complimentary personalized gift message. 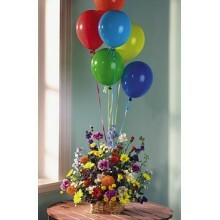 4 pcs multi color latex balloons with 1 basket assorted daisies. Note:Metro Manila only Your purchase includes a complimentary personalized gift message. 1 dozen red roses with 4 mylar balloons. 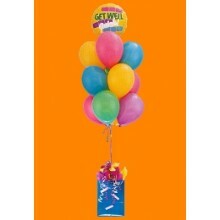 Available with diferrent messages: Happy Birthday, Love you, Get Well etc. Note:Metro Manila only Your purchase includes a complimentary personalized gift message. 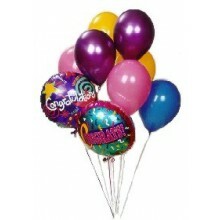 6 pcs latex balloons and two pcs mylar balloons available with diferrent messages. Note:Metro Manila only Your purchase includes a complimentary personalized gift message. 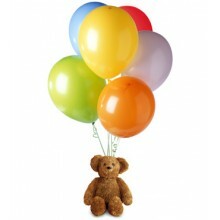 A teddy bear with 6 pcs latex balloons perfect for any occasion! Note:Metro Manila only Your purchase includes a complimentary personalized gift message. 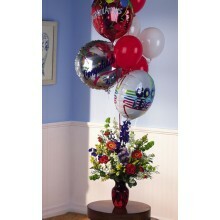 Assorted daisies with balloons arrangement. Note:Metro Manila only Your purchase includes a complimentary personalized gift message. 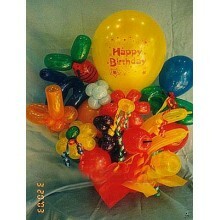 Latex balloon arrangement with colorful tube balloons and ribbons, perfect for any occasion. Note:Metro Manila only Your purchase includes a complimentary personalized gift message. 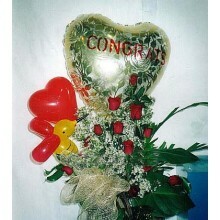 Balloons with 6 pcs red roses Note:Metro Manila only Your purchase includes a complimentary personalized gift message. Color blue! A sweet teddy bear with 1 pc mylar ballon and various size latex balloons makes this arrangement so sweet for a sweet person! Note:Metro Manila only Your purchase includes a complimentary personalized gift message. Bear inside the balloon. Please place order at least 2 days prior delivery Note:Metro Manila only Your purchase includes a complimentary personalized gift message. 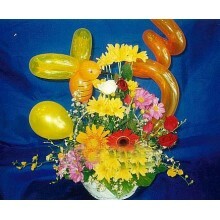 3 pcs mylar and 3 pcs latex balloons with assorted daisies in a vase. Note:Metro Manila only Your purchase includes a complimentary personalized gift message. 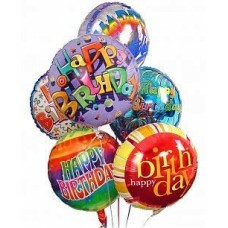 6 pcs multi color latex balloons decorated with ribbons Note:Metro Manila only Your purchase includes a complimentary personalized gift message. 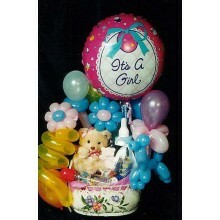 Latex and mylar balloon arrangement with diferrent color and ribbons. Available with diferrent messages. Note:Metro Manila only Your purchase includes a complimentary personalized gift message. 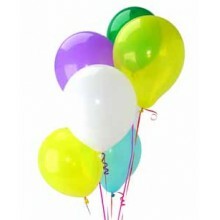 Colorful balloons for any occasion. 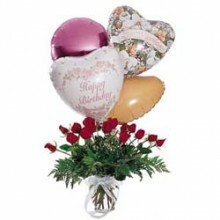 1 dozen roses with balloon arrangement Note:Metro Manila only Your purchase includes a complimentary personalized gift message. 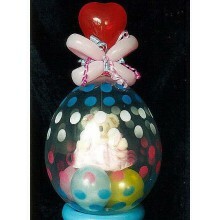 9 pcs diferrent color latex balloon and 1 pc mylar balloon with available message: love you, get well, happy birthday etc. Note:Metro Manila only Your purchase includes a complimentary personalized gift message. 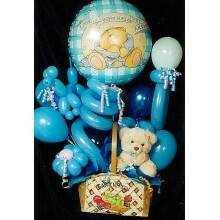 teddy bear with various size of balloons available with diferrent messages. Note:Metro Manila only Your purchase includes a complimentary personalized gift message. 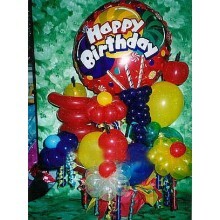 Mix of mylar and latex balloons. Wonderful combination of color make a diferrent impression! 3 latex balloons and 2 mylar balloons Note:Metro Manila only Your purchase includes a complimentary personalized gift message. 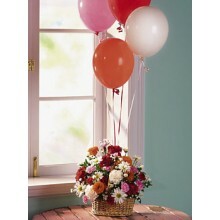 This adorable arrangement of long-lasting flowers is set in a small pedestal container and tied with 2 mylar balloons. 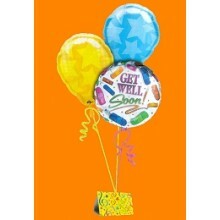 Available with ballon message -Get Well,Love you, Birthday etc. Note:Metro Manila only Your purchase includes a complimentary personalized gift message. 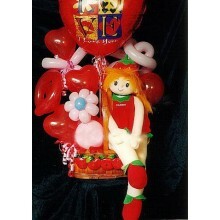 :1 mylar balloons with various latex balloons with girl arrangement. Please place order at least 2 days prior delivery. 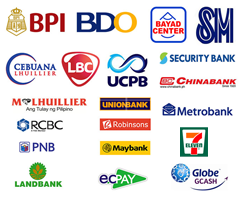 Note:Metro Manila only Your purchase includes a complimentary personalized gift message.